Ride the famed Snowy Range right from your door. The Snowy Range is consistently in SnoWest Magazine's Top Ten Western Riding Areas, see why first hand. 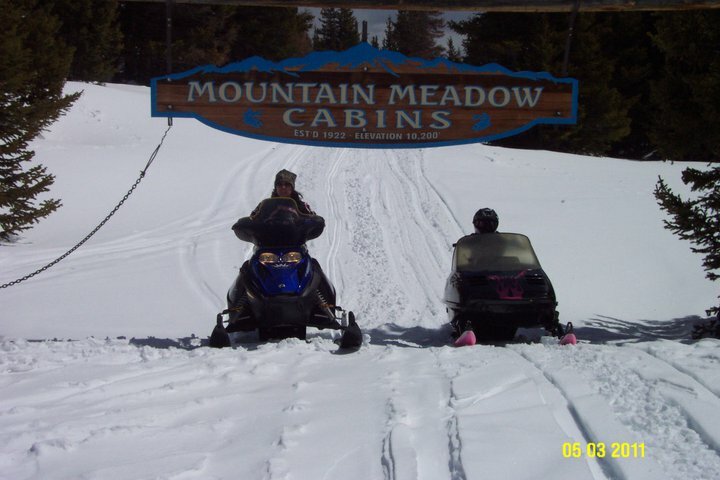 Mountain Meadow Cabins is located at the intersection of trails 'O' and 'U' for easy access to the trail system. The Range has over 200 miles of groomed trails and 100 more ungroomed miles. There is also endless off-trail riding offering deep powder meadows, boondocking in the trees and hill-climbing. 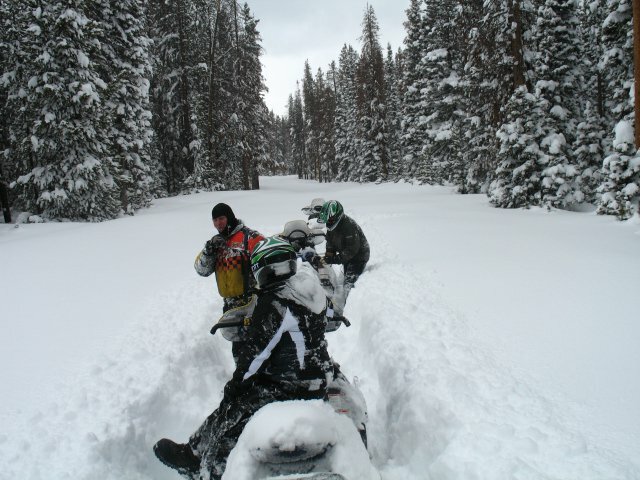 Snowmobile backcountry guide service may be available. Snowmobile tours can be arranged through a local company, please call on this as well. NOTE: All snowmobiles operating in Wyoming must have a User Fee Decal. If you are coming from outside Wyoming, you must purchase a non-resident decal for $25.00. You can get these locally or by phone from the Wyoming Trails Program at 307-777-6560 (e-mail questions to: snowmo@state.wy.us ). 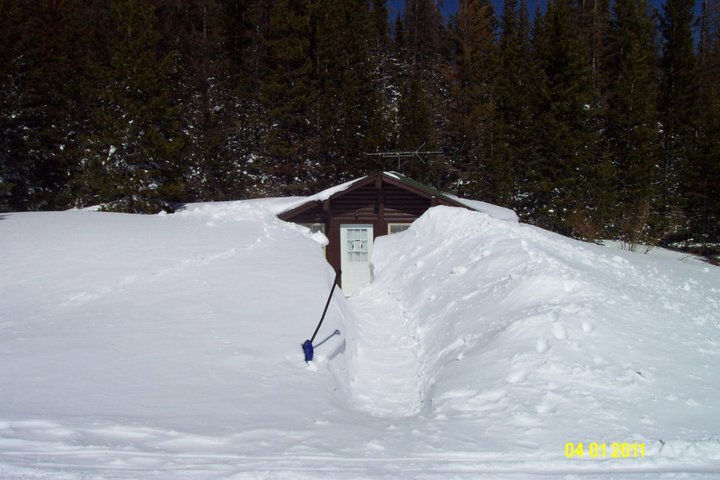 Snowy Range Ski Area is just three short miles down the hill from us on WYO-130. There are a number of nice hills close to the cabins that will thrill the younger folks just as much as the adults. Sometimes the drifts are deep enough we just sled off the roof!